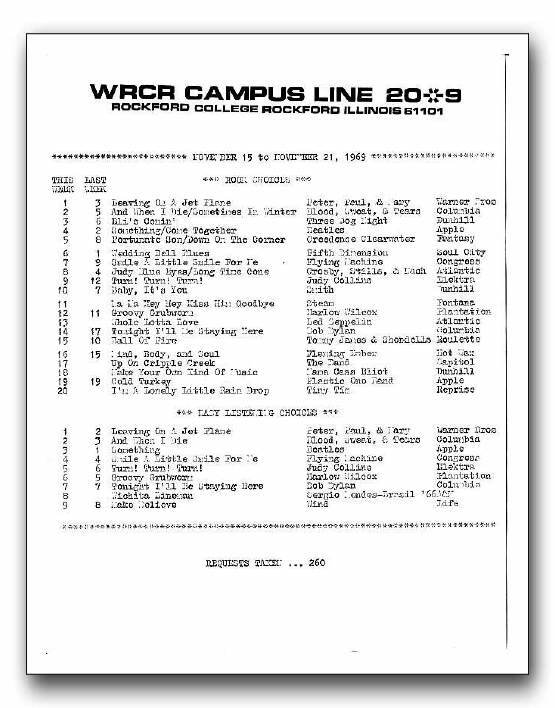 This is the Campus Line 20+9 survey for November 15th 1969. By some strange twist we also have the accompanying production piece in the audio archive. Go to the audio section, then "Miscellaneous" and chose the top item in the box. The piece was produced and edited by Mark Groth. James Landis Buchman is the voice. How odd that two different people would shave these two parts of WRCR history all these years.